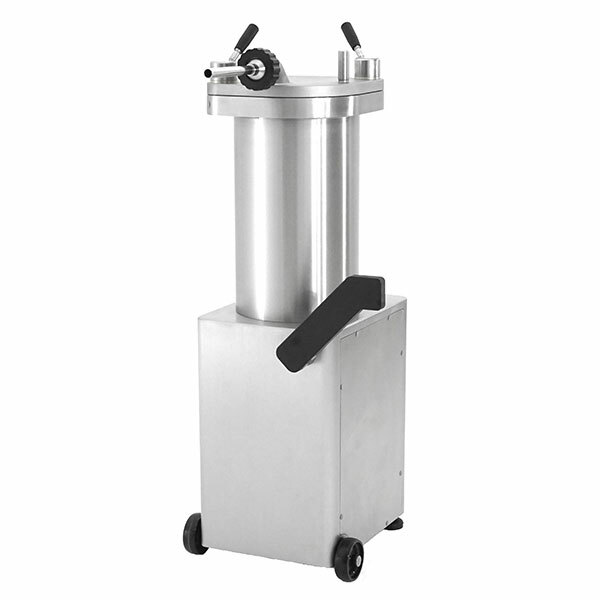 Hydraulic Sausage Stuffer Industrial Machines come in three different sizes, 30 lbs., 50 lbs., and 100 lbs. 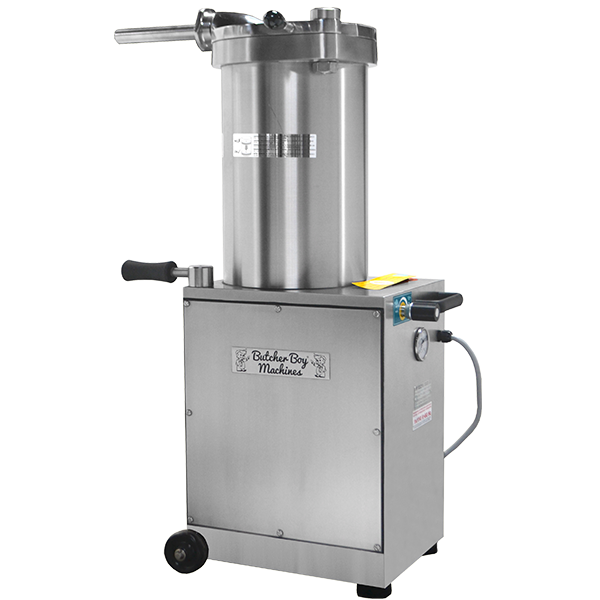 These hydraulic piston sausage stuffing machines comes with three stainless steel stuffing horns, 12 mm (1/2"), 20 mm (3/4"), and 25 mm (1") diameters. The hydraulic piston sausage stuffing equipment features: Heavy duty casters; Self contained hydraulic power pack; Removable upper cylinder for easy cleaning and sanitation: These hydraulic piston sausage stuffing machines have stainless steel housings and aluminum or stainless steel piston &lids. We offer an additional sausage portioner, linker and sausage twister that can be added to some of these sausage stuffers for added production. At MPBS Industries we service several models of hydraulic piston sausage stuffing machines such as Stuffmaster Sausage Stuffers, Talsa hydraulic piston sausage stuffing machines, Sausage Makers sausage stuffing machines, Fuerpla hydraulic piston sausage machine. 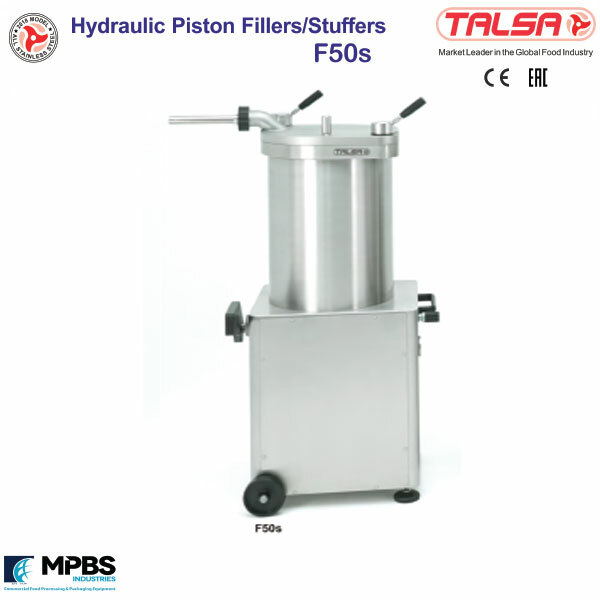 We now offer Talsa Sausage Stuffer, Pro-Stuffer Sausage Stuffers. We also carry parts and provide service in the Los Angeles California area for the Talsa piston sausage stuffing machines, Stuffmaster hydraulic sausage stuffing machines, Talsa Hydraulic Sausage Stuffer, Pro-Stuffer Sausage Stuffer.